If there's anything juicier than a pineapple from ya local fruit shop it's the lineup for this year's Big Pineapple Music Festival! The Sunshine Coast music festival has today announced an epic lineup for this year's festival. 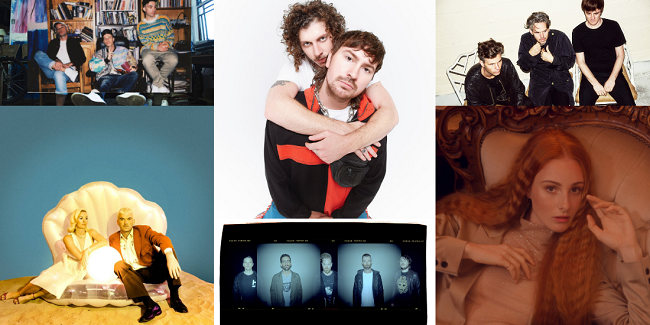 Leading the way will be electro-pop scallywags, Peking Duk, New Zealand duo Broods, dance music duo Pnau, Hip-Hop crew Thundamentals, whimsical singer-songwriter Vera Blue and Aussie rockers Karnivool. Other artists joining them include Melbourne duo Confidence Man, Rockband Hands Like Houses, triple j's KLP, producer Touch Sensitive, smoko-loving legends The Chats, Rap powerhouse Tkay Maidza, plus a heap more. Tickets for Big Pineapple Music Festival 2019 go on sale 9 am (AEST) Thursday 14 February.